The Cloud collection showcases lighting in metal inspired by the clouds! 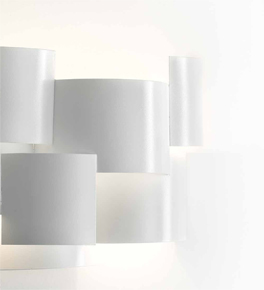 The range includes single pendants, cluster lights and wall lamps. The light shines through the metal plates shades creating a very interesting lighting play.